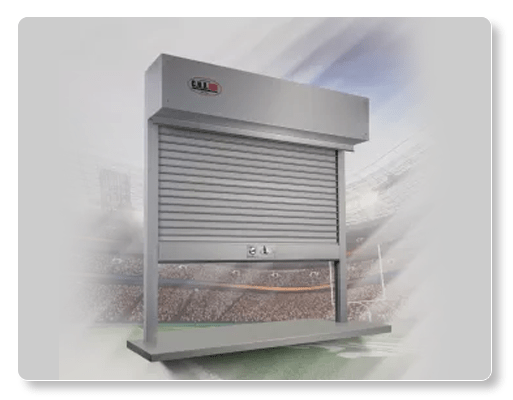 Rolling Counter Shutters – CHI – Model 6522 offer elite security, flexibility and aesthetic features for the end user’s application. The size of the slats is reduced to offer smoother operation and a more pleasing appearance. Customers and suppliers recognize the 6500 Series for its state-of-the-art design while appreciating the practicality and ease of use that defines the product. A two piece guide system uses hidden fasteners by the front guide for a clean appearance and ease of installation. An invisible tube motor system, an awning crank operation or a wall-mounted motor are optional features. Integral lift rails are incorporated into the bottom bar for full-width manual access and ease of lifting.